The 2013 Koenigsegg Agera R is the result of Koenigsegg's endless persuit for perfection. The 2013 model features new Aircore hollow carbon fiber wheels, uprated power and enhanced aerodynamics. The Agera R has an incredible top speed of approximately 440 km/h (273 mph). 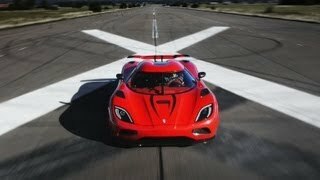 Recent Records for the Agera R:0-300 km/h in 14.53 sec,300-0 km/h in 6.66 sec,0-200 mph in 17.68 sec,200-0 mph in 7.28 sec. The Agera R is the only roadster Hypercar with adetachable and stowable hardtop, bringing the best of two worlds. This in combination with 120 litres of luggage space, truly combine extreme performance with everyday usability. 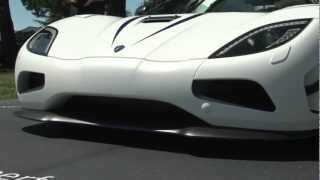 The 2013 Agera R is the result of Koenigseggs endless persuit for perfection. The 2013 model features new Aircore hollow carbon fiber wheels, uprated power and enhanced aerodynamics. The Agera R has an incredible top speed of approximately 440 km/h (273 mph). 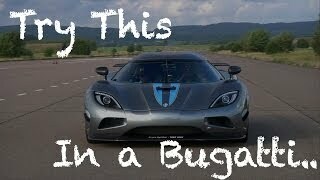 Recent Records for the Agera R:0-300 km/h in 14.53 sec,300-0 km/h in 6.66 sec,0-200 mph in 17.68 sec,200-0 mph in 7.28 sec. The Agera R is the only roadster Hypercar with adetachable and stowable hardtop, bringing the best of two worlds. This in combination with120 litres of luggage space, truly combine extreme performance with everyday usability. The Agera is available in left or right hand drive. The 2013 Agera R has all the features and functionalities of previous year models, but also features new and unique solutions to enhance performance and visual appearance even further. Example of these enhancements are; Visible carbon area on the front bonnet and bumper, new front side winglets, revolutionary Aircore carbon fiber wheels, the new Aero exhaust, the increased power and the raised rpm limit. Please find more details about these features in the menu to the left. Koenigsegg was the first Hypercar manufacturer to take steps toward green technology with the release of the biofuel CCXR in 2007. The Agera R, based on the highly competitive Agera, follows in the footsteps of the CCXR as it also runs on E85 biofuel. Among many differences to the standard Agera, the Agera R has an upgraded fuel and engine management system with enough flow capacity to generate 1140 hp and 1200 nm of torque on E85 and E100 biofuel. 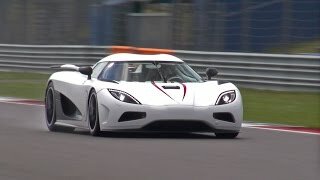 As there is less energy content per given volume in these biofuels compared to normal petrol, the fuel-system has to manage a flow that is similar to a 2000hp petrol engine, which means that the Agera R’s return-less fuel system has the highest capacity of any car presently in production. As the Agera R is a flexfuel car, it can also be run on normal petrol. 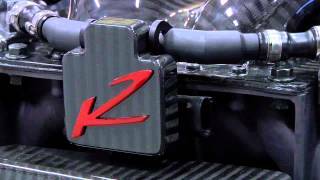 As 95 octane fuel has less octane than E85, the power is reduced to 960hp with 1100nm of torque due to the boost pressure and ignition timing being altered to match the fuel characteristics. In order to give the Agera R maximum flexibility when it comes to power delivery, Koenigsegg has implement the latest technology when it comes to turbo materials and design. This reduces the inertia of the turbine wheel and axle and therefore gives improved response.